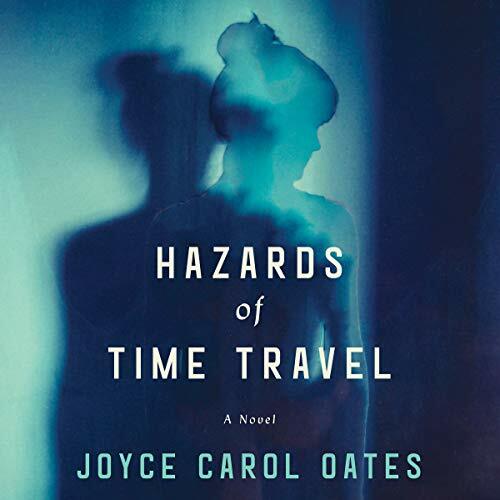 “Time travel” - and its hazards - are made literal in this astonishing new novel in which a recklessly idealistic girl dares to test the perimeters of her tightly controlled (future) world and is punished by being sent back in time to a region of North America - “Wainscotia, Wisconsin” - that existed 80 years before. Cast adrift in time in this idyllic Midwestern town, she is set upon a course of “rehabilitation” - but cannot resist falling in love with a fellow exile and questioning the constrains of the Wainscotia world with results that are both devastating and liberating. ... But it started falling apart at the end. Whatever the driving message was supposed to be managed to elude me. I really thought I'd enjoy this book, a dystopian time travel story! But I quickly discovered this wasn't what I was expecting at all. First off, the author paints the picture of an oppressive government in this story who is afraid of any free thought, or individuallity so much so that they arrest anyone who dares think outside their rigid belief system. Also the book seems to only serve as a platform for the author to express her religious, political, and philosophical beliefs, and this mind numbingly evident in virtually every chapter in this book, very little effort was put into anything else honestly, not even the bizarre love story that consumed 80% of this book. Our protagonist is portrayed as an intelligent independent teenager, but for some unknown reason falls for a much older teacher, despite herself, and common sense, and basically makes herself a slave to his wishes, living to please him despite any real reciprocal affection being returned. The constant overly intellectual psycho babble in this book really did drag it down, and was very tiresome. The only redeeming plot point was the twist revealed at the end of the book, but by that point it was too little too late. It's a stretch to give this book 2 stars, 1 1/2 is more fitting. wait....did she finish the book? the book started really strong and I loved it but I feel like it didn't go anywhere. there were so many unanswered questions and not in a good way. it just feels like she didn't know where to go with it which is strange because there was so much potential there for something super evocative and though-provoking. very disappointed. Some of my own sci-fi short stories draw on visions similar to this. Therefore I loved it as I do pretty much everything by Joyce Carol Oates.